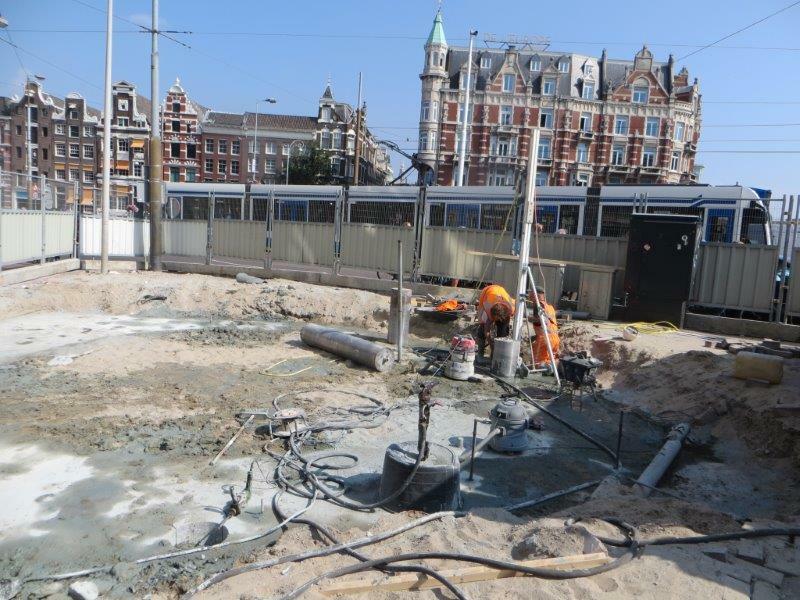 In the capital of the Netherlands the Subway network is extended with a North – South line which runs under the harbor and the historic city center and connects the suburbs with the Central Station and other important locations. 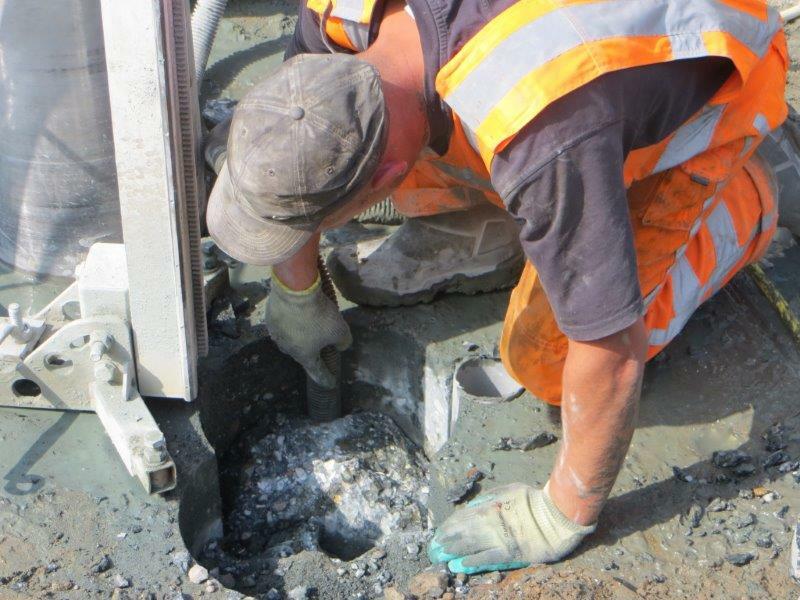 Diamond Drilling & (wire) Cutting techniques are constantly used during this immense construction project. 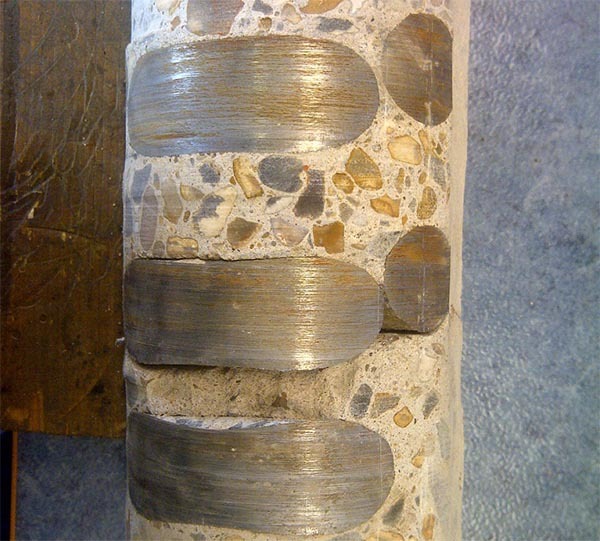 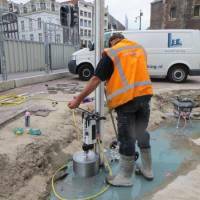 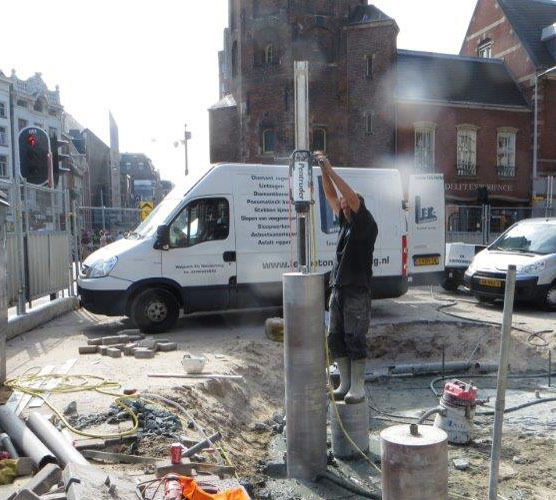 Recently the Pentruder MDU drill motor was used to drill Ø 350mm holes – 2.2 meter deep holes in an obsolete air shaft which was made of heavily reinforced concrete..
A drill bit set of 500 – 1000 – 2000 mm useful length was produced and brazed with Arix segments with thicknessess ranging from 4.0 -5.0mm. 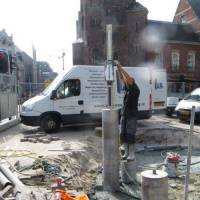 The MDU drill motor was used with a 400 Volt generator. 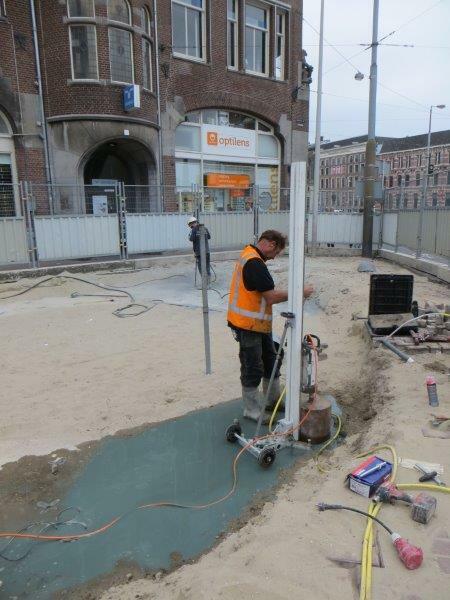 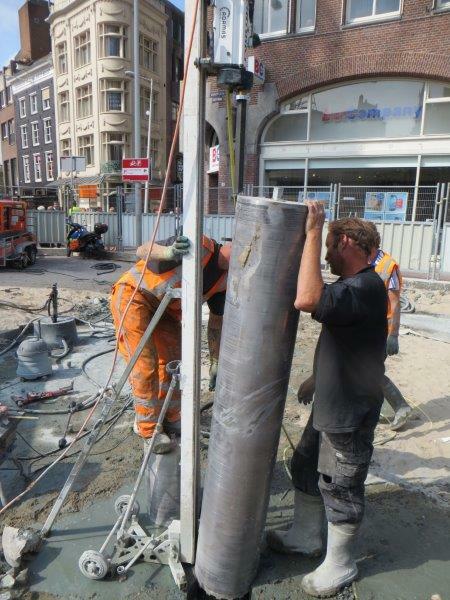 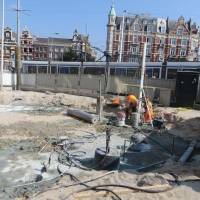 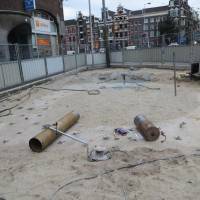 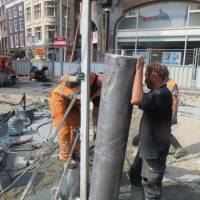 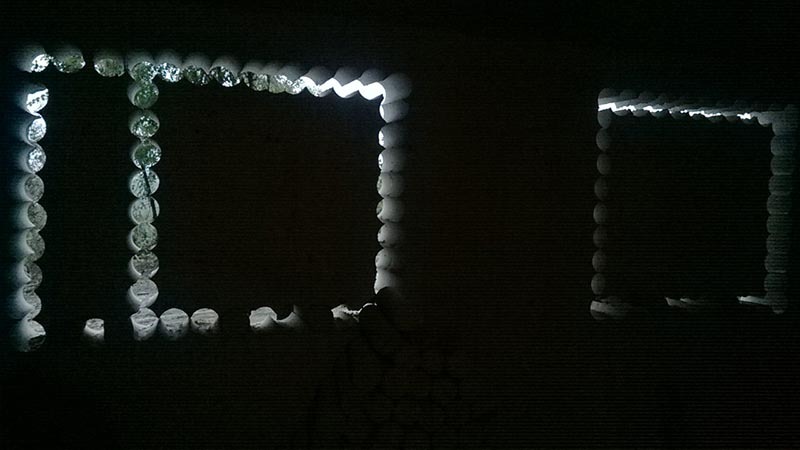 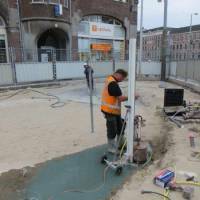 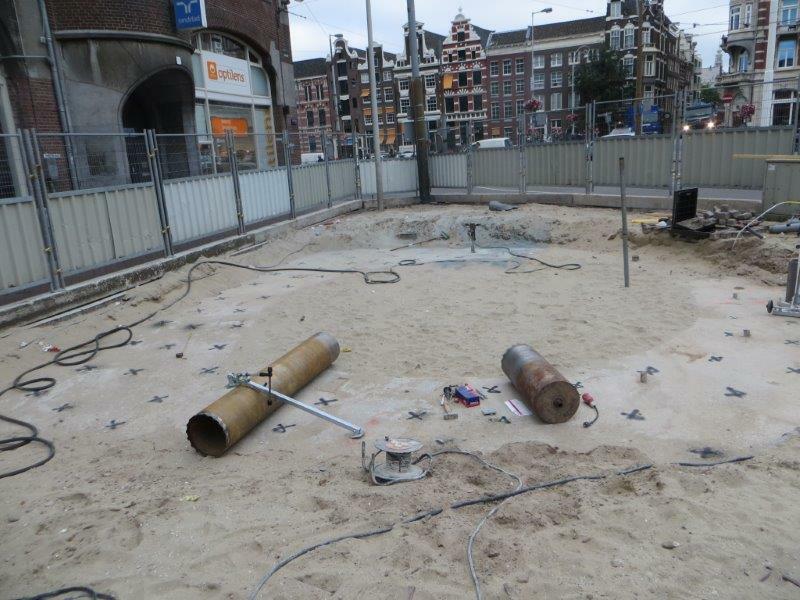 A total of 8 holes of 2,2 meter depth were completed within 3 days and the drill bits had to be perfectly straight. 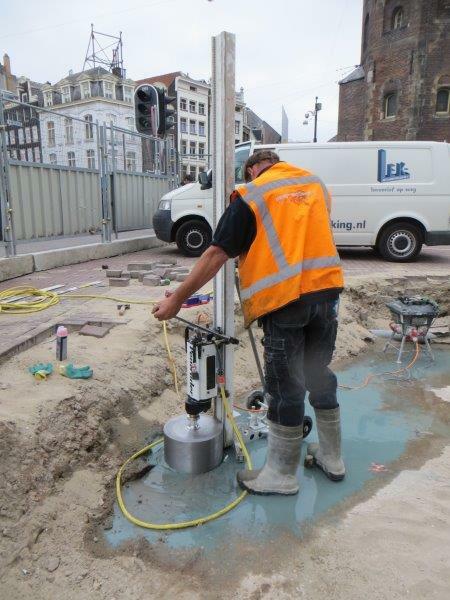 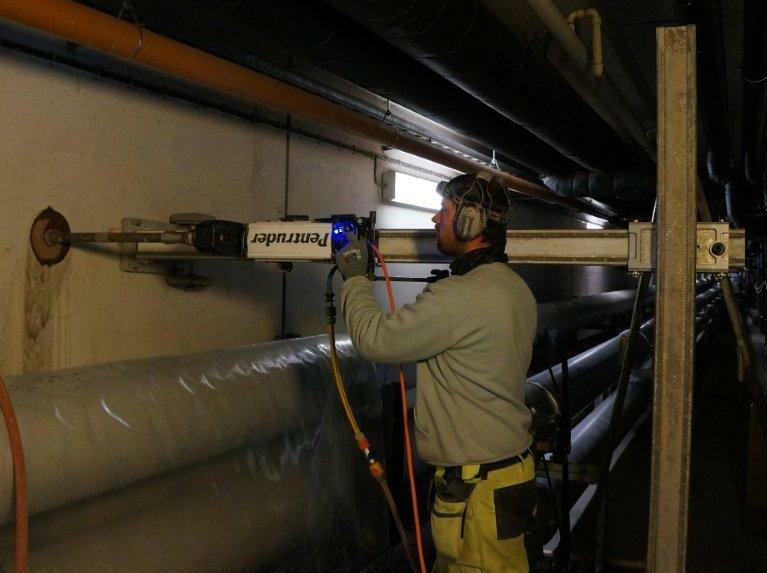 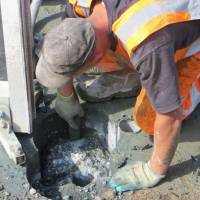 All parties involved in this project were amazed by the power and ease of use of the Pentruder MDU drilling system.